Children don't view this the image is disturbing. Its a human being with the same rights and liberty all human beings have. The right to life, liberty and the pursuit of happiness. 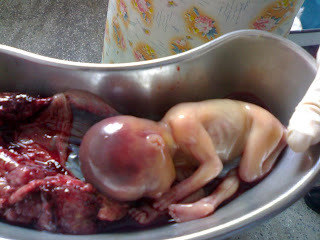 You have no right to choose to murder another human being.